1. Material of handle is ductile iron. 2. Material of Jaw is carbon steel,Forging quenching and tempering treatment. 3. 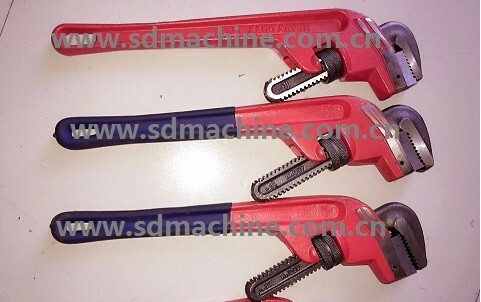 It is suitable for processing pipes closed to wall or closed layout pipes. 1. Package: 1 pc in plastic bag and inner box, then several pcs in carton.